The sun is out and the joggers are following. If that’s not you, fret not. 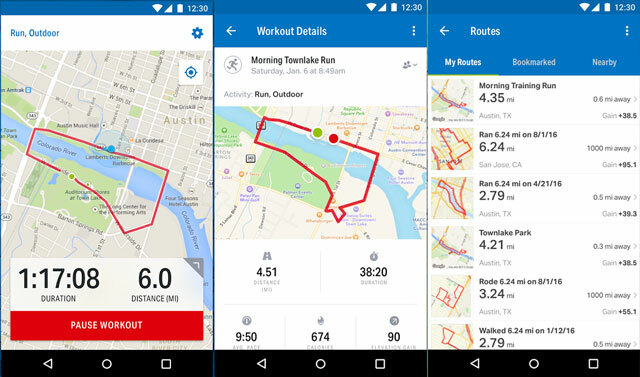 Motivating yourself to go for that run around the neighborhood—or your first half-marathon—is easier than ever thanks to running apps that track your progress and suggest new goals. 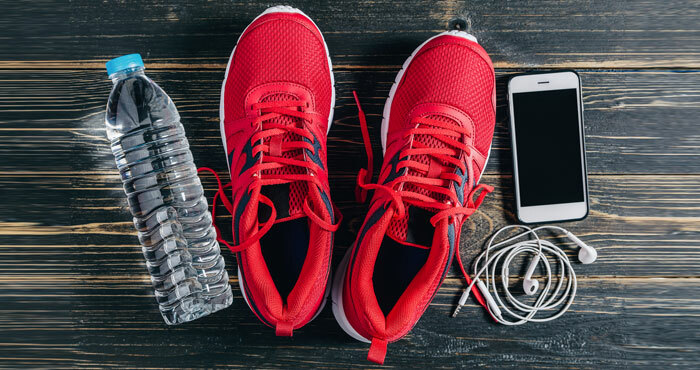 Whether you’re gearing up to pass the 5k mark or need to revive your running mojo, there’s an app to get you there: coaching apps, interval workouts or music to boost your speed. 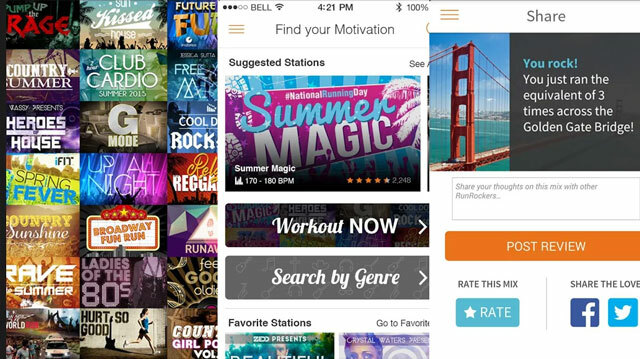 These are our favorite apps for pounding the pavement (or thrashing the treadmill). Can’t be bothered with a gym membership? No reason you have to be if you have a personal trainer app like Aaptiv. Aaptiv is packed with audio workouts led by uber-perky trainers who motivate you at all levels, beginner to advanced, to run, bike or hit the elliptical machine. Against a backdrop of pop or hip-hop hits, you’ll be talked through high-energy interval workouts—all the better to shift that belly fat—from warmup to cooldown. You’ll get directions on what speed and incline to hit. There are also outdoor running workouts, as well as weight training, yoga, and training programs for running race distances such as 5K, 10K and marathons. For an even more personalized workout, Pear syncs with dozens of activity trackers, including Fitbit, Apple Health and Strava, in order to adjust the intensity of its audio workouts to your target heart rate (Check out our top pick for the best heart rate monitor). Its thousands of workouts, narrated by world athletes, include running, high-intensity interval training, spinning, weight training and yoga, from beginner to super-fit levels. Track your progress to see how long you worked out, calories burned, distance trained and pace. Just starting out? This easy-to-use app aims to get you from couch potato to 5K runner with a realistic workout schedule of three 30-minute workouts a week for eight weeks. Initial workouts mix running with walking to build stamina, with an audio coach to motivate and lead the way. Along with playing music from your phone, C25K can also connect to Spotify and Pandora. Integration with the diet and fitness app MyFitnessPal lets you see how calories burned per run stack up to your calories eaten. Some say the half-marathon is the ultimate distance: 13.1 miles is a challenge most people can overcome without making the massive life changes of training for a full marathon. 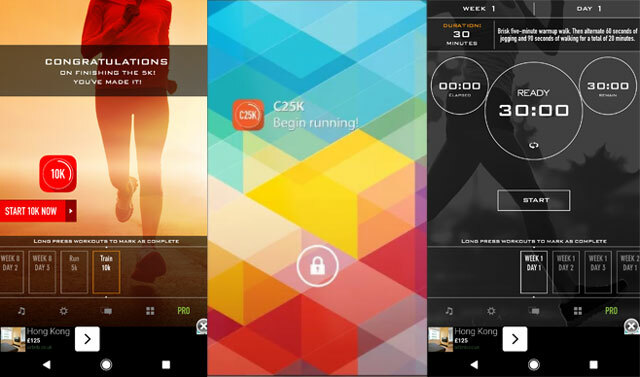 Build your endurance with this app that promises to get you from 10K to 21K in 12 weeks via a program that includes interval training and audio directions during your run. You’ll also get warmup and cooldown cues. Nailing the rhythm you run at can help you move more efficiently. 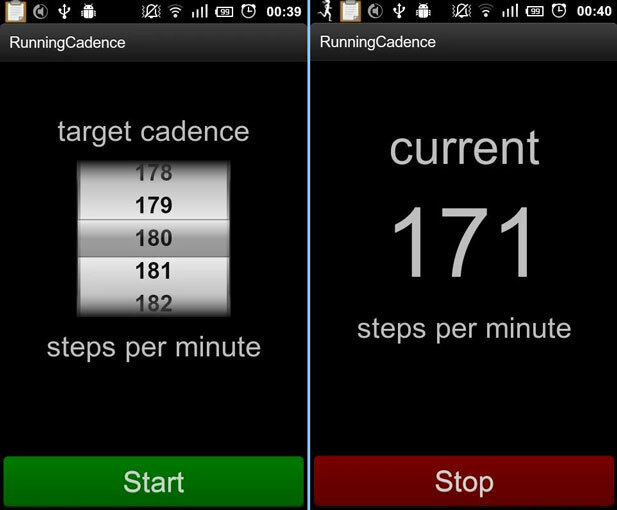 Cadence Trainer (iOS) and Running Cadence (Android) play sounds at a tempo you set, so you can adjust your gait to match the sounds with when your foot hits the ground. Training to a particular, regular pace is beneficial for both advanced and beginner runners. It can help you hit a certain pace for a race or simply avoid early fatigue by going too fast at the outset of a run. 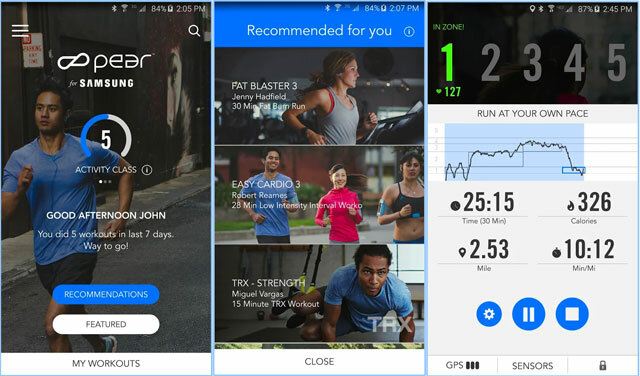 Whether you simply want to track your runs or train for a big race, Runkeeper brings the goods—and most of them are in its full-featured free version. Your runs (and bike rides) are tracked, and you’ll get audio updates on your pace, split pace and total distance covered. There are training plans to help you hit 10K, half-marathon and marathon distances, specific paces, or target weights. Friendly pop-up messages remind you to keep moving if you haven’t been for a run in a while. 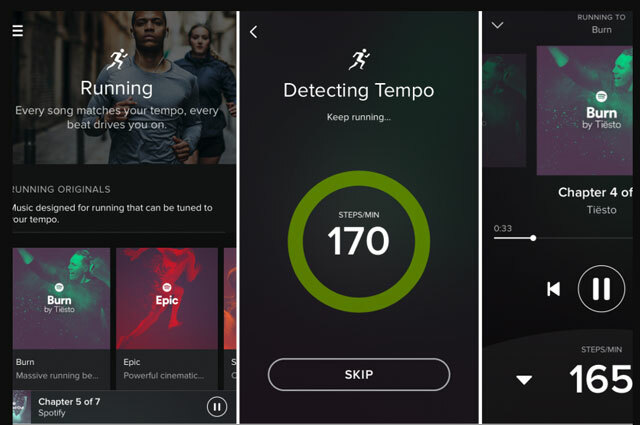 Use Runkeeper to play music from your phone library as well as Spotify (premium) and iTunes. You can create custom playlists within the app. 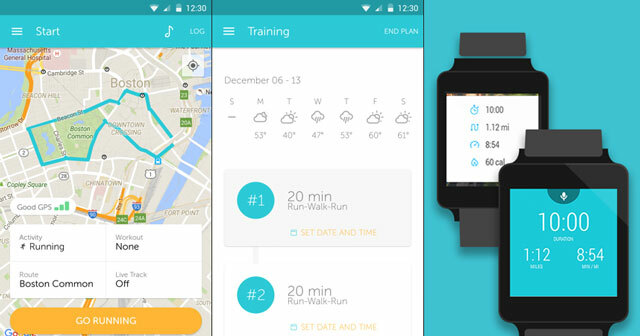 The app syncs with fitness trackers including Pebble and Fitbit. The premium version kills ads and offers tailored workout schedules, an analysis of your progress and weather info for your tracked runs. An all-around run tracker with plenty of stats on your progress, Endomondo can sync with apps including diet app MyFitnessPal, the Apple Health and Google Fit dashboards and several fitness trackers. 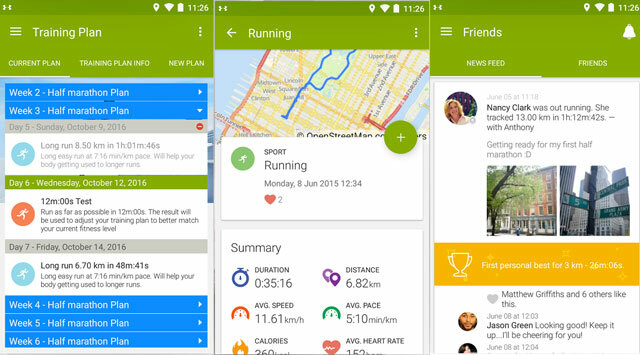 If you add other runner friends to the app, you can send them encouraging audio messages. Regular challenges can motivate you to keep moving. The premium version offers more of a training element, with programs to prep for particular race distances and progress stats such as total distance this year. If you have a device that tracks your heart rate, you’ll get info on your heart rate zone in each workout. Along with a solid run-tracking core with audio cues for time, pace, distance and elevation, MapMyRun has a handy Routes feature to help you uncover a new path for that Sunday 10K, drawn from its database of user-saved runs. Tap in when you get a new pair of sneakers to track their mileage and get a reminder when it might be time to trade them in. 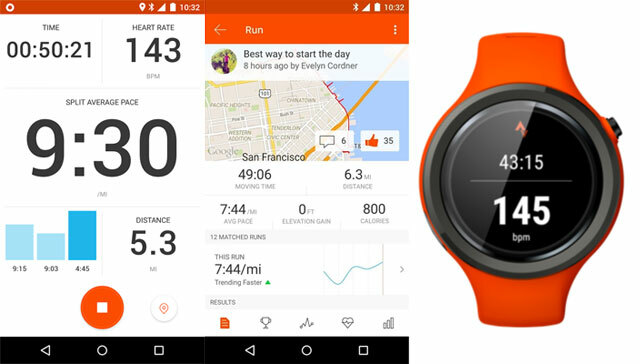 Like many of the apps on this list, MapMyRun can sync data from hundreds of fitness apps including Garmin, Fitbit, Jawbone and more. The premium version has training plans to hit 5K up to a marathon 26 miles, heart rate analysis and an audio coach to help you hit set targets of pace or calories burned. If you have trouble keeping moving, the right music just might pick up those feet. Rock My Run has thousands of DJ mixes in several genres—house, rock, 80s, country and pop, to name a few—which it plays based on your stride (as calculated by your device’s GPS) or your heartbeat, if you’re using an Apple Watch or heart rate monitor (premium accounts). Either way, syncing the right music to your activity level is an effective way to boost your workout. The premium version kills ads for uninterrupted music, works in lower-signal areas and allows you to manually adjust tempo. Otherwise, the music slows down and speeds up according to your cadence. If you’re already a Spotify Premium user, you can check out the built-in Running music streaming feature. 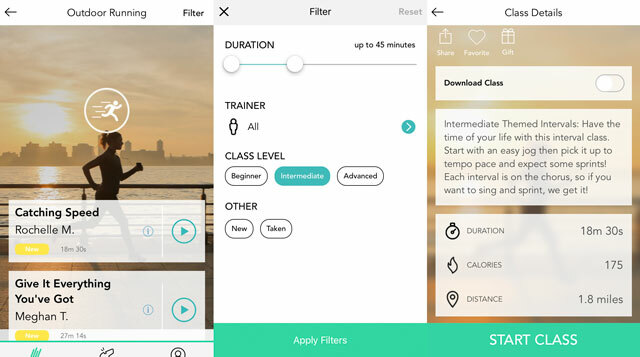 Once you start running, the app detects your tempo, then selects a mix of songs based on that tempo. It doesn’t customize itself to your run as much as Rock My Run, but it does come as part of that Spotify subscription you’re already paying for. Sometimes a little healthy competition is all we need to do our best. Strava is a run- and cycle-tracking app that uses the data of other racers to let you virtually race against them over particular segments of a route. Your activity is automatically posted to a social feed of workout data visible to Strava users you’ve added. Monthly challenges and other people’s routes keep you going. In your own app, you’ll get a training log with pace, distance and split paces, and the premium version offers personalized training plans and more detailed stats, including heart rate and race analysis. For outdoor runners, cyclists, hikers and skiers, staying safe means being able to contact loved ones in case of emergency. 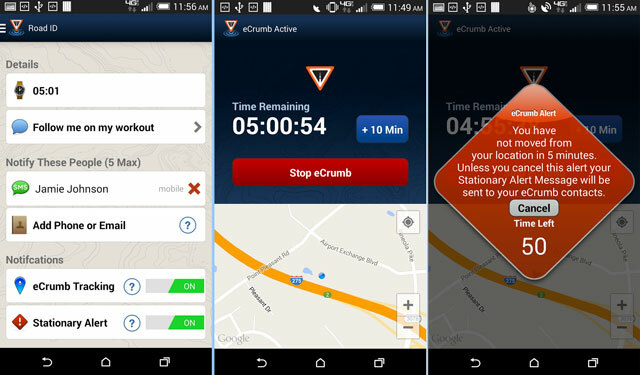 The Road ID app allows family or friends to track you when you’re out and about by sending an “eCrumb” that temporarily lets them see your location from a web browser. If you stop moving for more than five minutes (and don’t access the app), the app will automatically notify these contacts. Road ID puts a personalized lock screen on your phone that displays health info such as allergies and blood type and up to three emergency contacts. The same company also makes ID bracelets and metal tags that fit Garmin and Fitbit trackers. If getting fit isn’t enough of a motivator, how about getting fit for charity? 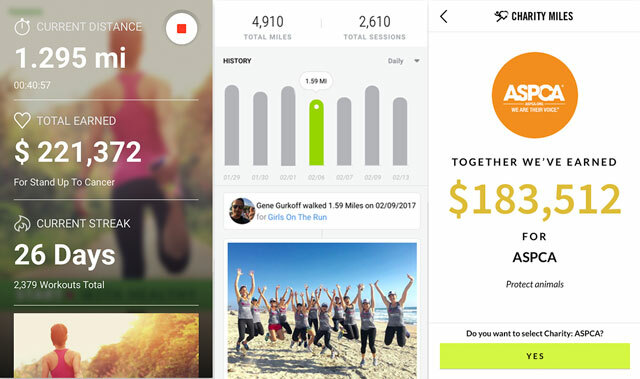 This ingenious app sends money to charity for every mile you run, walk, hike or cycle. The cash comes from a pool of sponsors; current figures clock it at $500,000, with over $2 million raised so far. The app displays motivating figures such as distance, money earned and workout streaks of not having missed a day, as well as the total earned for each charity by all the app’s users. Charities include ASPCA, Habitat for Humanity and WWF. Why run when you can walk? Well, because zombies are on your tail. 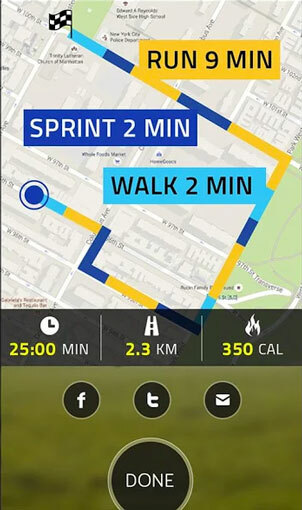 This audio game wrapped in a full-featured fitness tracker makes a mission of out each run. You’re the hero who must escape the incoming undead, rebuild your base, collect supplies and eventually save humanity and find out the source of the plague. Throughout each mission, your pace and distance are logged, and there are training plans, interval workouts and race courses you can add to your story. 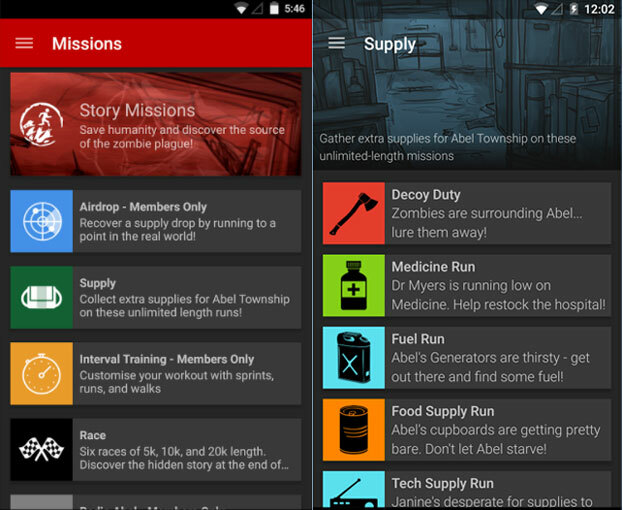 The free app comes with four missions, with one new mission unlocked every week. Solve the mystery faster by going for a pro account to unlock all 200 missions.